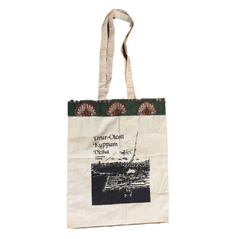 Proceeds from the purchase of this bag go to the running of the Urur-Olcott Kuppam Vizha and betterment of the society. 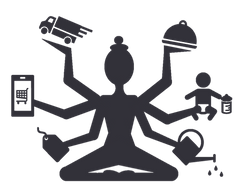 The product can be delivered within 7-10 working days from the date of order. This product once purchased cannot be returned or exchanged. Bulk orders are undertaken. Please click Let's Chat and leave a message. Music, theatre and the arts are meant to be bridges connecting cultures, civilisations and other artificial boundaries that divide people. But often they fall prey to the same divisions created by man. 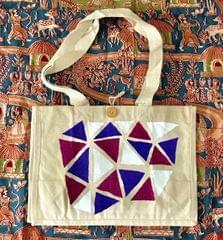 As arts get more and more esoteric, with artists and the audience seeking comfort in the homogeneity of class, caste, race or creed, it begins to lose its ability to communicate and build bridges across the vast and wondrous diversity of people and places. The art and the artists stop growing. The Urur-Olcott Kuppam Vizha is conceived to heal art and help art heal by opening art and artists to new audiences and different environments. 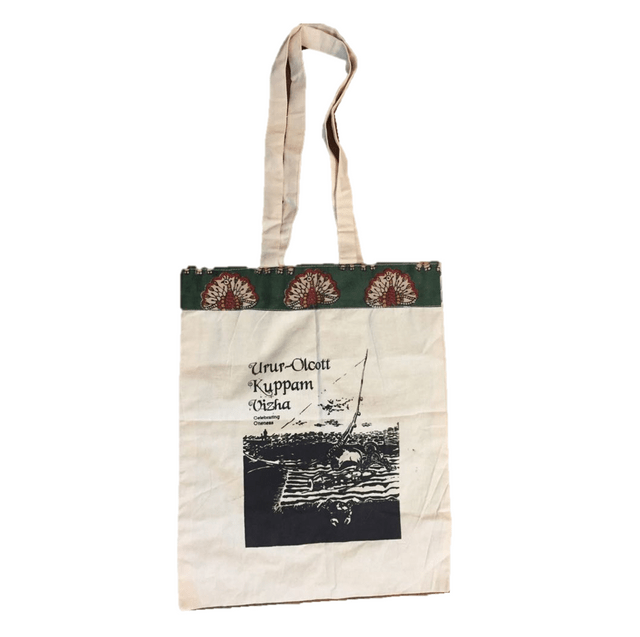 Join us for the 4th edition of the Urur Olcott Kuppam Vizha! 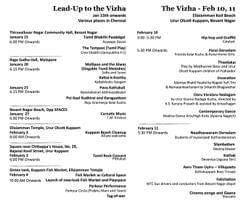 We have an exciting line-up of events leading up to the Vizha as well. Please mark your calendars and help spread the news to friends and family! We hope you can join us for all the fun! Everyone is welcome! Please click on Let's Chat if you would like to register for the event.